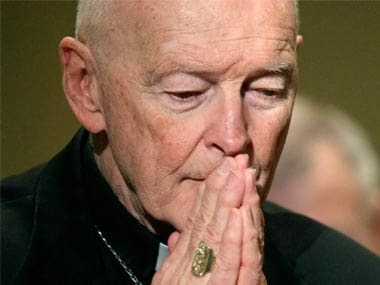 The Vatican's retired ambassador to the United States accused senior Vatican officials of knowing as early as 2000 that the disgraced former archbishop of Washington, Theodore McCarrick, regularly invited seminarians into his bed but was made a cardinal regardless. 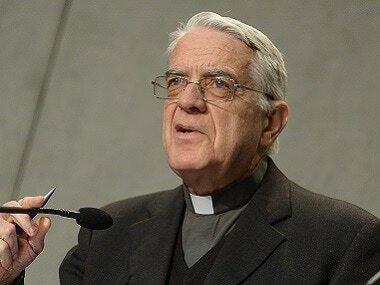 Vatican spokesman Federico Lombardi said "sensationalism" surrounding the Oscar-winning film Spotlight and hearings into an alleged cover-up of abuse by Cardinal George Pell in Rome had given the public the wrong impression. 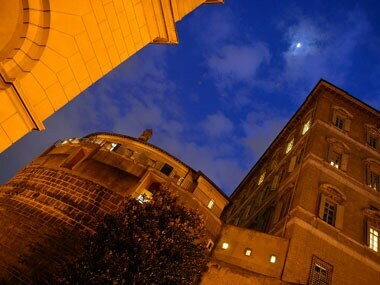 It was this time last year that the top two managers at the Institute for Religious Works were forced out after a Vatican monsignor with millions deposited in the bank was arrested in an alleged money-smuggling plot. 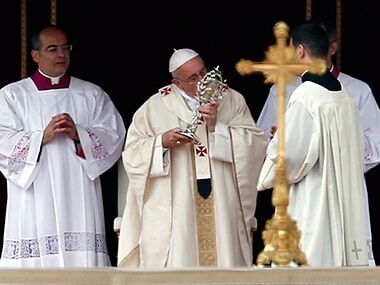 In a historic match-up of papacies past and present, Pope Francis and emeritus Pope Benedict XVI will honor Popes John XXIII and John Paul II in the first ever canonization of two popes. "It is a great honor. 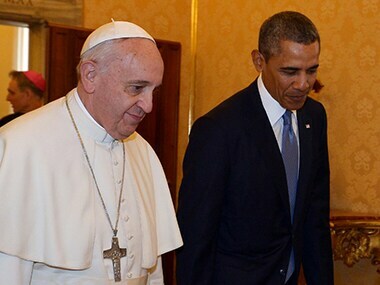 I'm a great admirer," Obama said. "Thank you so much for receiving me." 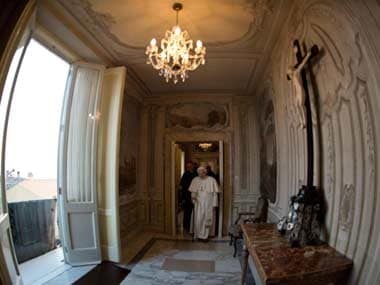 Retired Pope Benedict XVI has denied speculation that he was pressured to resign, saying his decision was freely made and his alone. 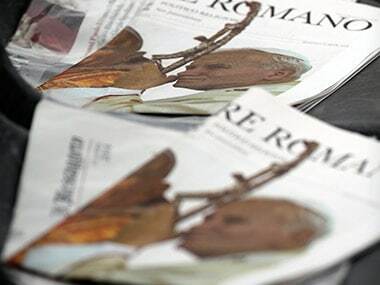 For first time in 600 years, Popes meet for lunch: What will they discuss? 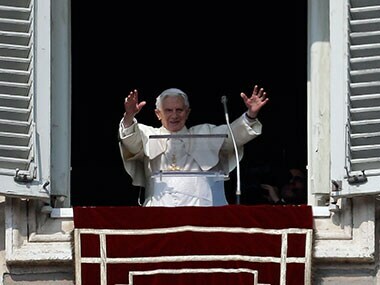 The Vatican is downplaying the luncheon in keeping with Benedict's desire to remain "hidden from the world." 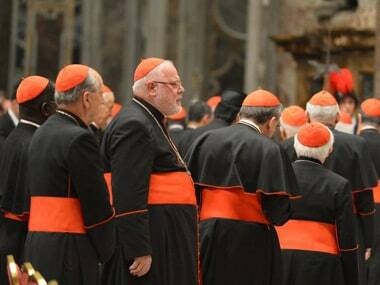 The conclave date was set on Friday afternoon during a vote by the College of Cardinals. 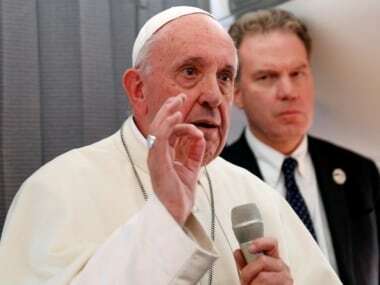 Tuesday will begin with a Mass in the morning in St Peter's Basilica, followed by the first balloting in the afternoon.